The chestnut legs had previously been cut to rough dimensions and joinery cut. 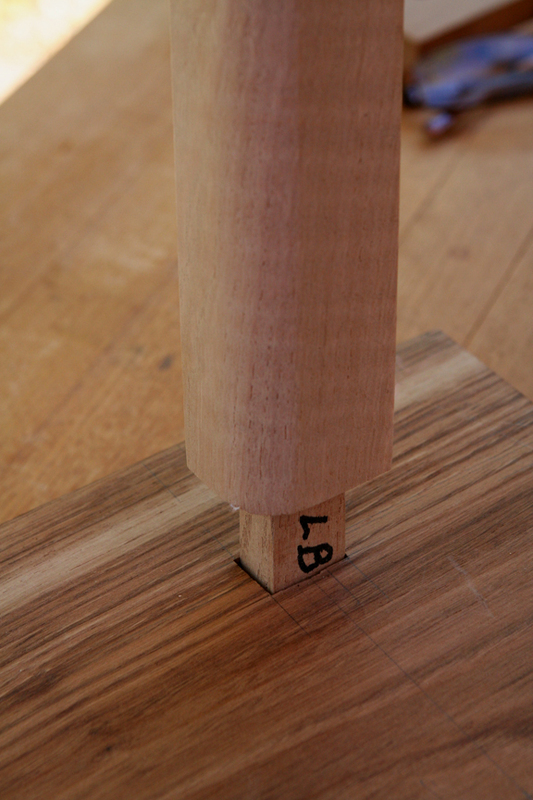 A 3/4-inch round over bit was used to create round over for the inside edges. This was done at the router table. 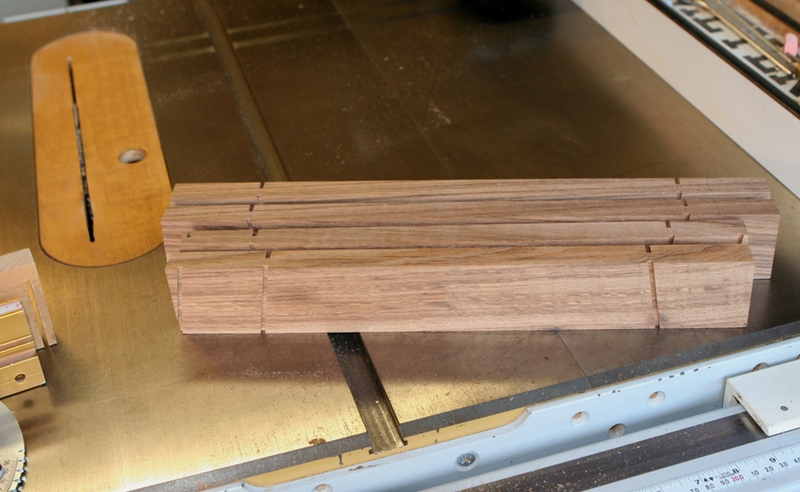 Then the two outside faces were tapered (smaller towards the seat) at the band saw and cleaned up with sanding block. 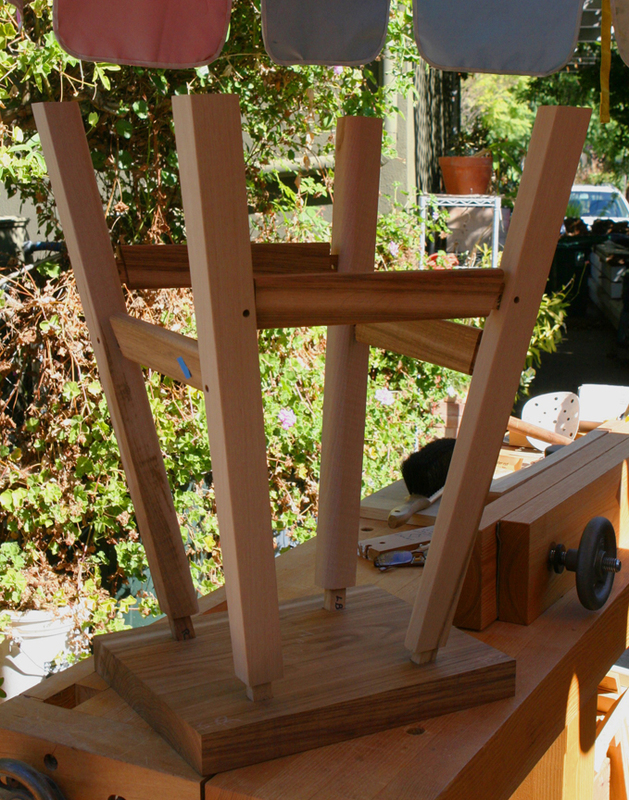 The stool was dry assembled to check fit and marked to cut legs to length. Working an edge, with Leg Vise and Grammercy holdfast in right leg. 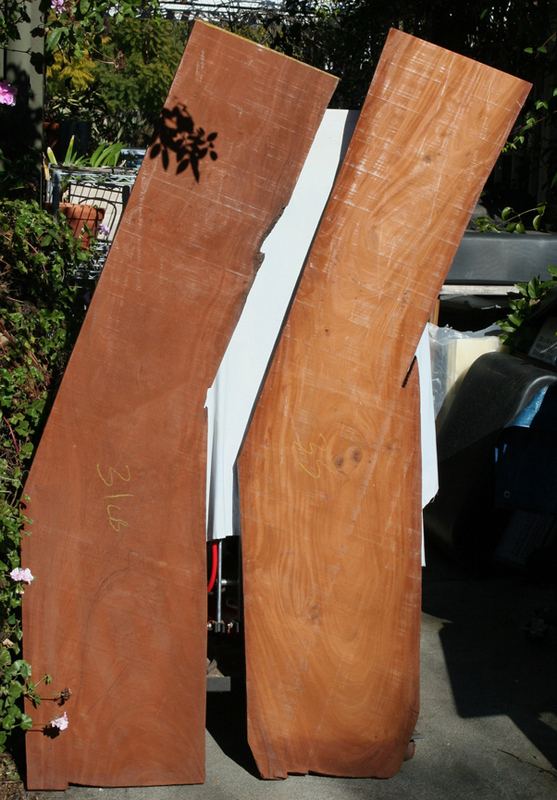 Several years ago I acquired two planks from Greener Lumber, LLC. 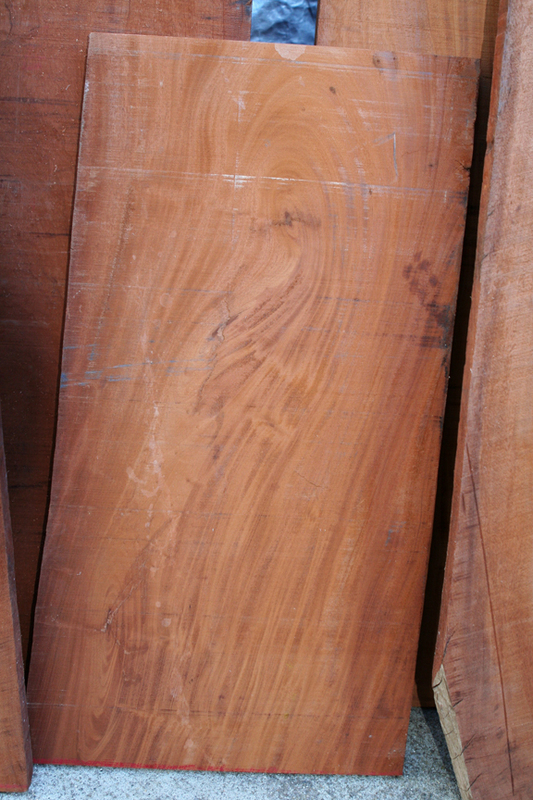 Honduras Mahogany (Swetenia macrophylia). Rich Petty of Greener Lumber salvages H. Mahogany from rivers in Belize along with a few other species. 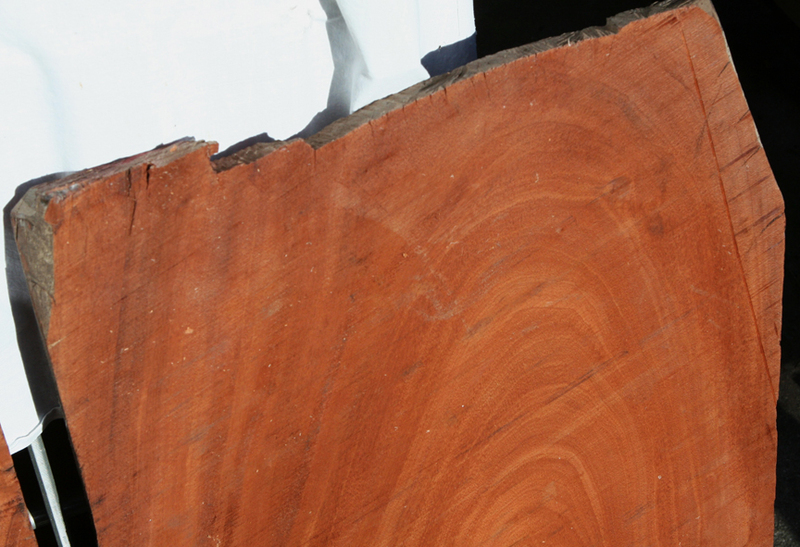 These logs were cut down between 150-180 years ago, then floated down the river to ocean-going ships bound for England to supply highly prized material for high-end furniture. Many of those logs sank either on their journey or while in holding spots near the coast. Being plentiful at the time, this was just a cost of doing business. 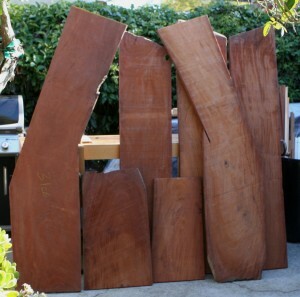 Today, with the scarcity of genuine H. Mahogany it is compelling to salvage those sunken logs. 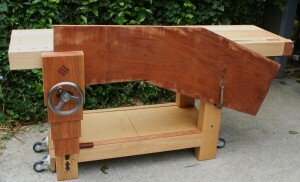 Computer desk from plank in 2012. Rich has several videos of the history, salvage operation and gallery of creations using this precious material at: www.greenerlumber.com/?page_id=13. 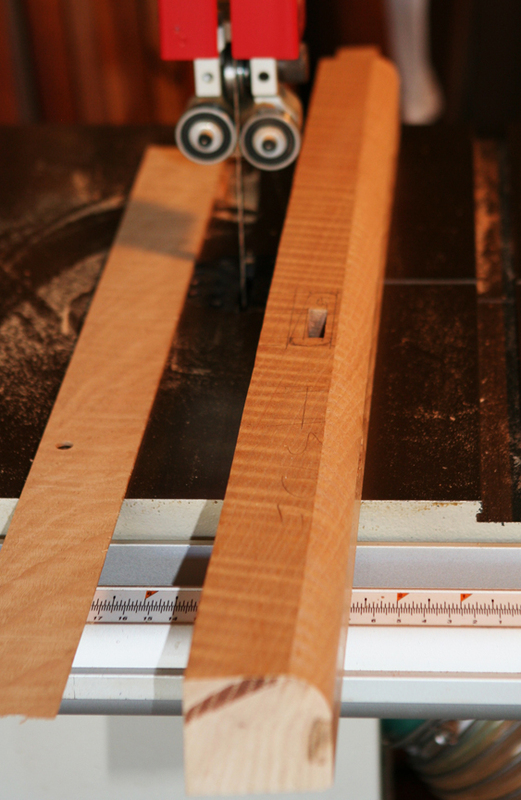 One video in particular has photos of projects I have made along with other talented woodworkers and artists. See link with Tom’s work. 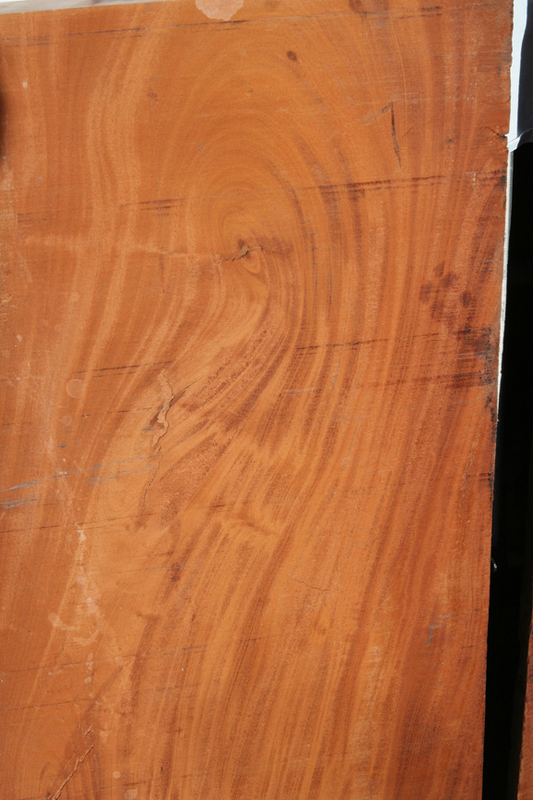 These particular boards (from the same log) feature very interesting figure, but the highlight is the bend. This bend must have resulted from an event early in the tree’s life because the grain flows nicely following the bend. This is opposed to a later-in-life event which would show more fractures in the grain flow. 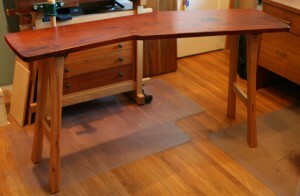 Four years ago I built a computer desk using on of those planks. 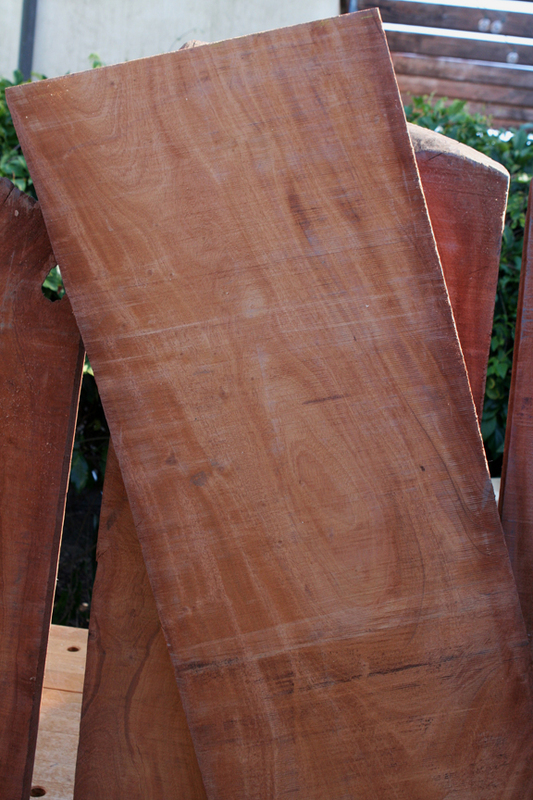 The second plank has remained in raw form awaiting the perfect project. Being such a unique piece I was somewhat reluctant to cut into it. Belize treasures delivered this afternoon. What will the boy do to honor this H. Mahogany? 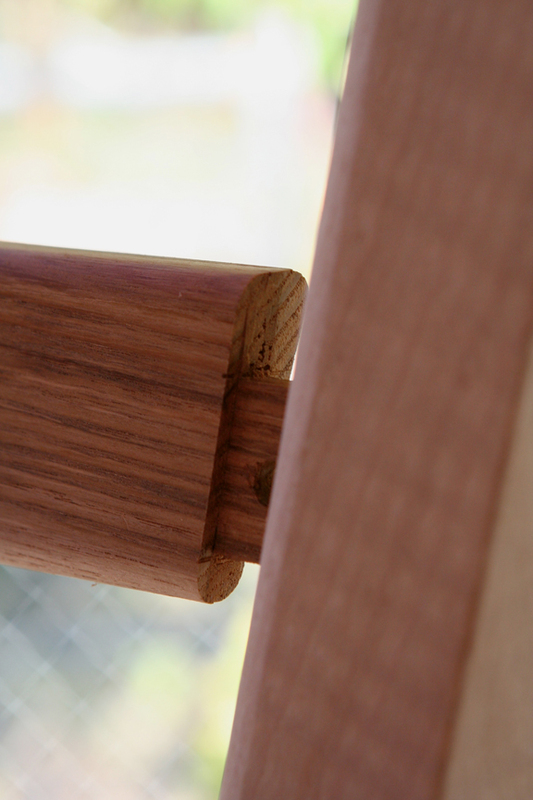 In a future post I will give a bit of my own history with Greener Lumber’s material as well as a bit more about Greener Lumber’s work. Rich Petty is the hero of that story. 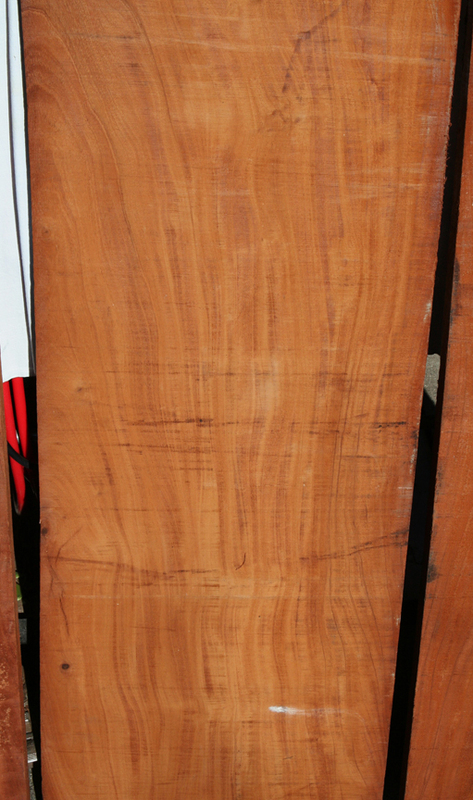 Actually, he has to share the stage with the lumber itself. 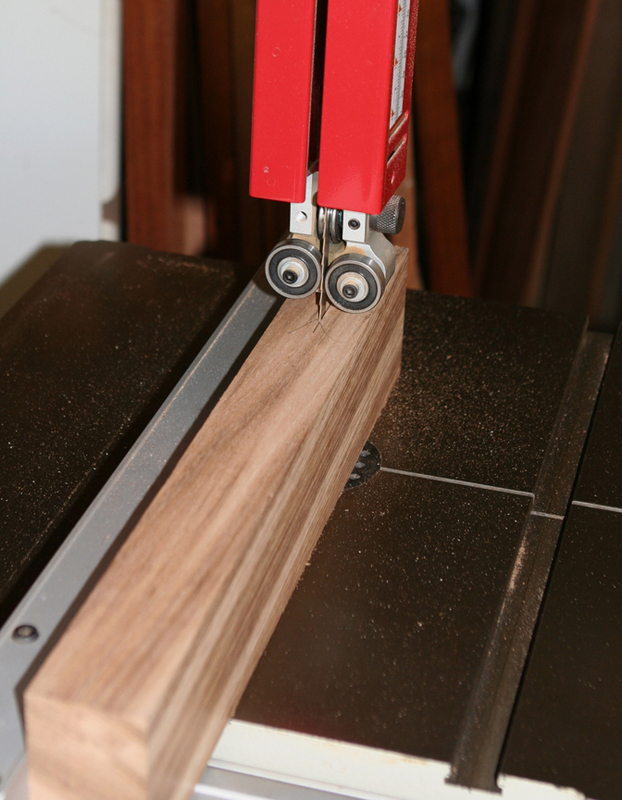 I recently contacted Rich to see if he had a short piece of material a bit wider than shown in his online store gallery for a potential build. He wrote back with an offer too good to refuse. Godfather Rich offered the three remaining planks from that bent log. A very excited, “YES!” was my reply. They arrived today. 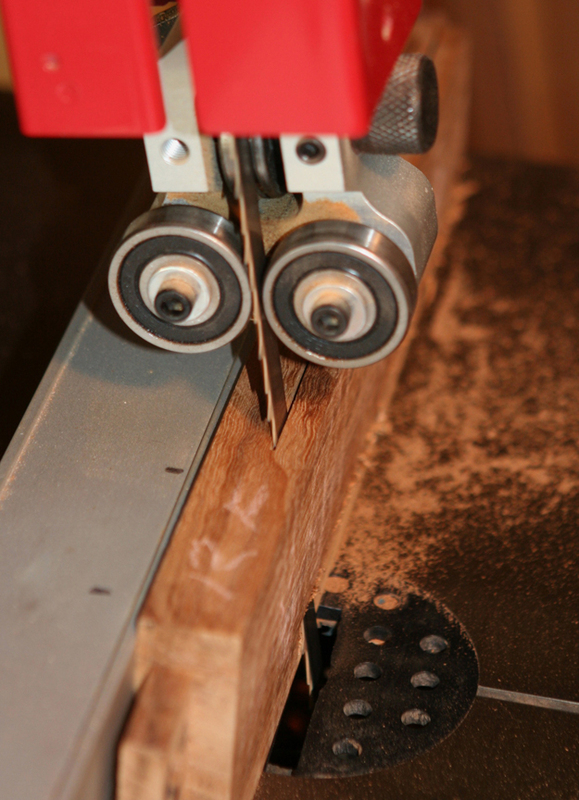 One of the planks had almost split in two at the bend so we cut it into some nice segments. 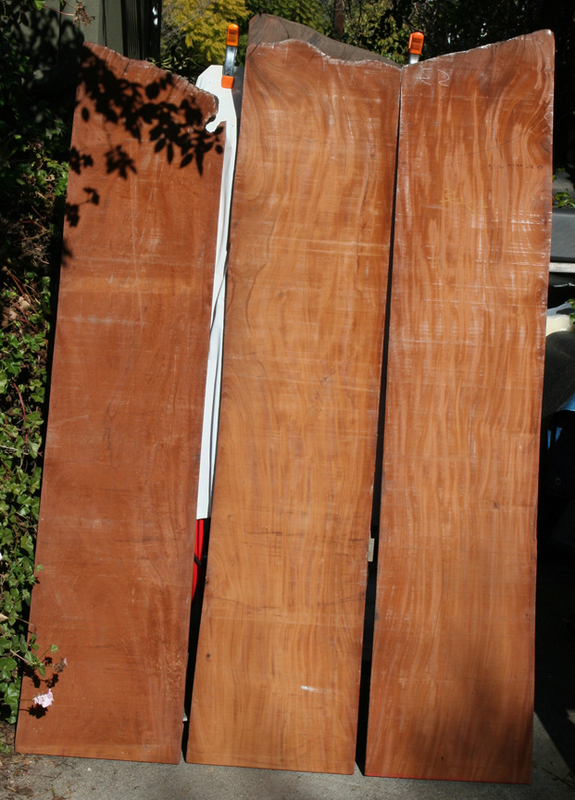 The other two twelve-foot planks were cut in half for easier and less costly shipping and handling. 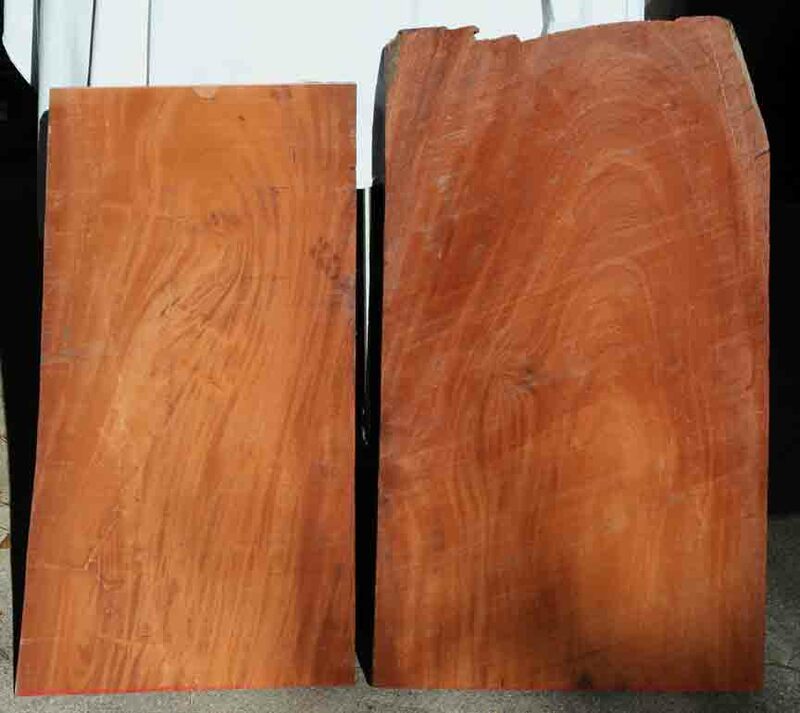 What you see in the gallery below are of the material received. I am super excited to add them to my inspirational inventory along with the existing plank. Thanks for sharing in my excitement. 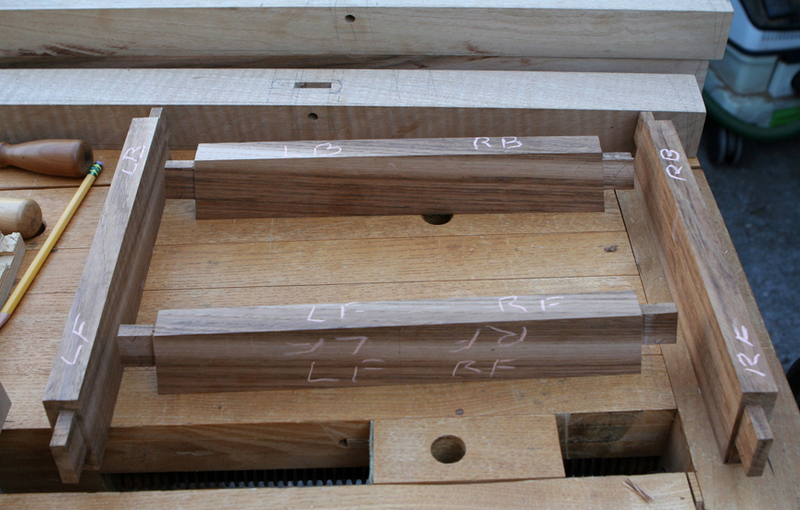 The stretchers will be draw bored into the leg mortises. 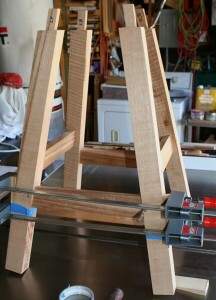 The legs and stretchers are clamped into position (dry fit), then a drill bit is tapped through the leg holes to mark location of tenon hole. 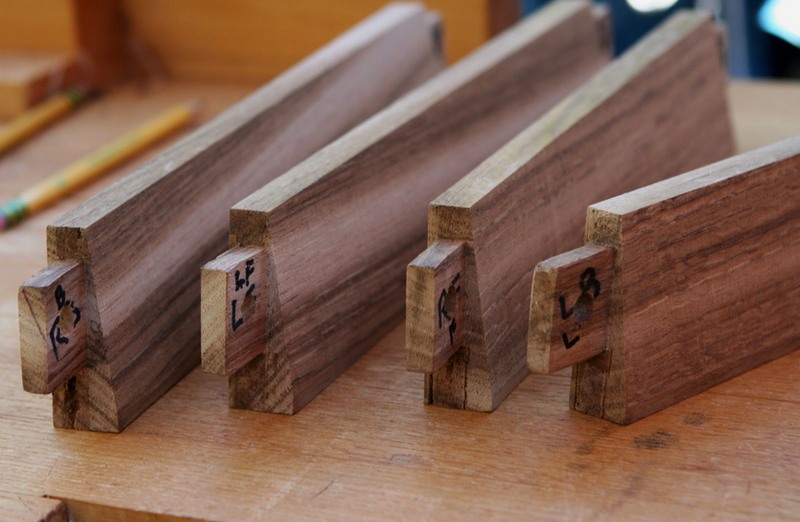 The stretcher tenons have holes for draw bore pegs drilled 1/16 inch closer to the shoulder than the mark made with drill bit earlier. 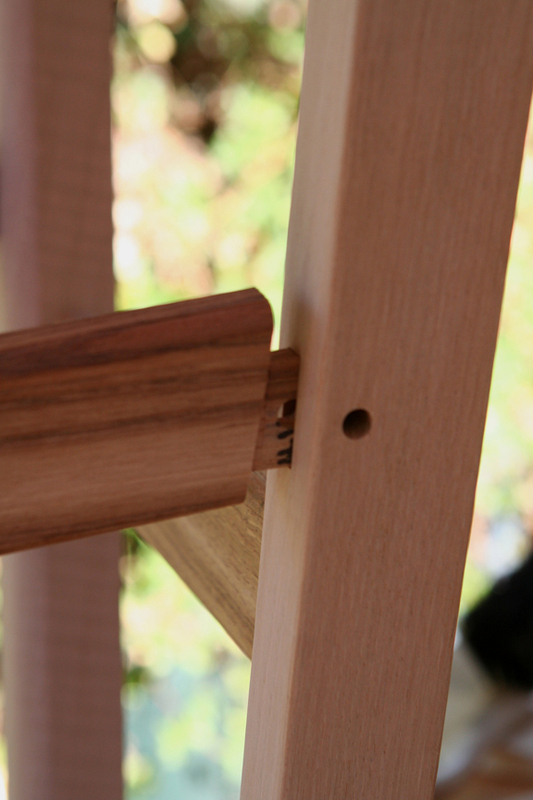 This allows the pegs to create a tight fit. 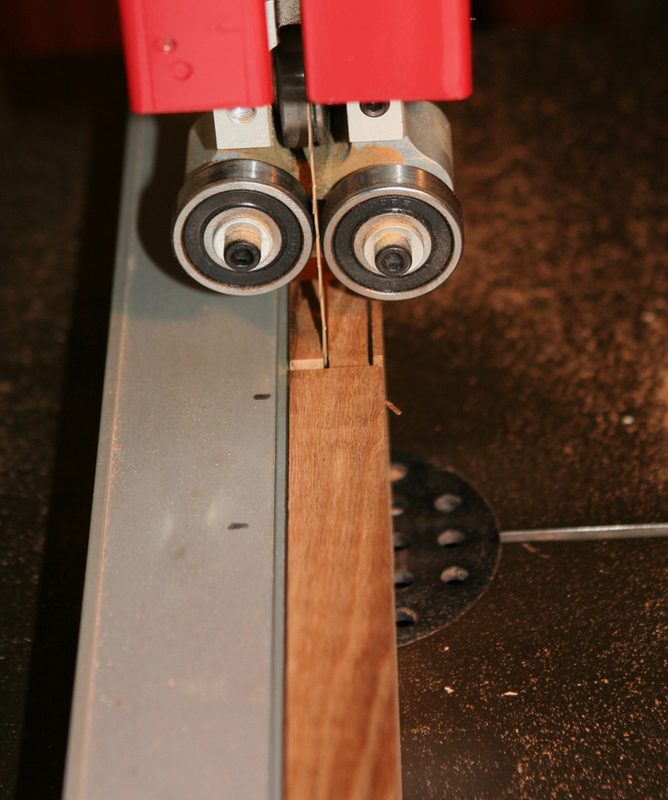 Next the face of the stretcher is beveled using the band saw with the table tilted. 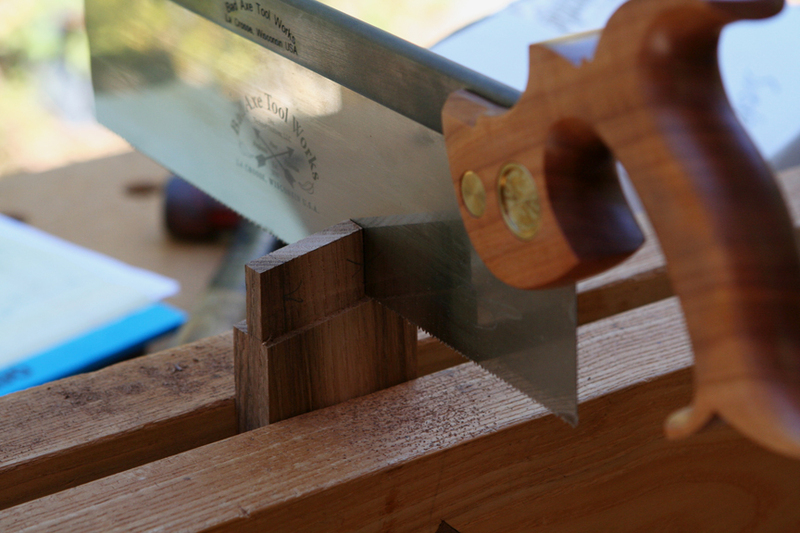 The edges are then rounded over using rasps and sandpaper. 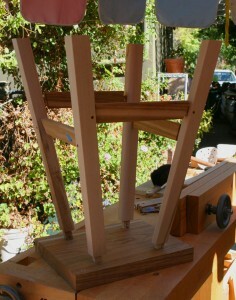 The stretchers are dry fit to legs. 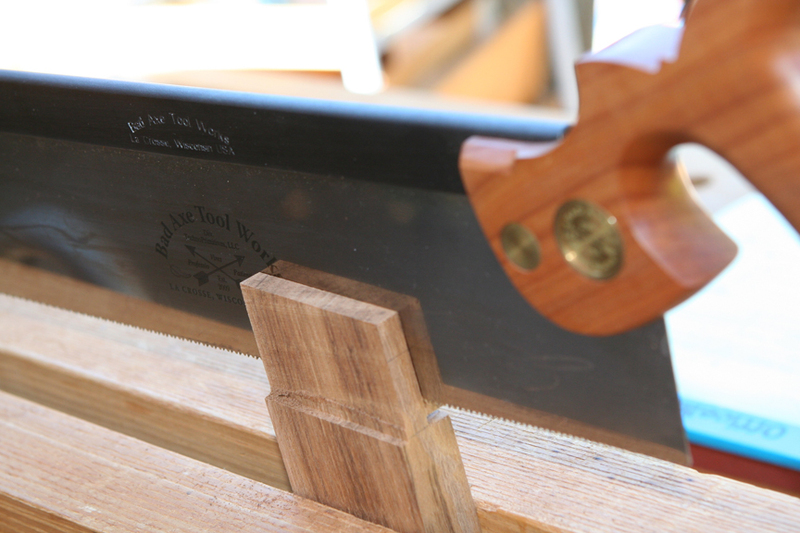 Initial tenon cheek cuts were made at the band saw, then completed (angled) by hand. 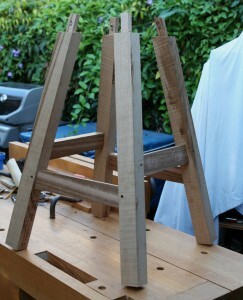 Tenons were further refined with shoulder plane to fit leg mortises and dry assembled. 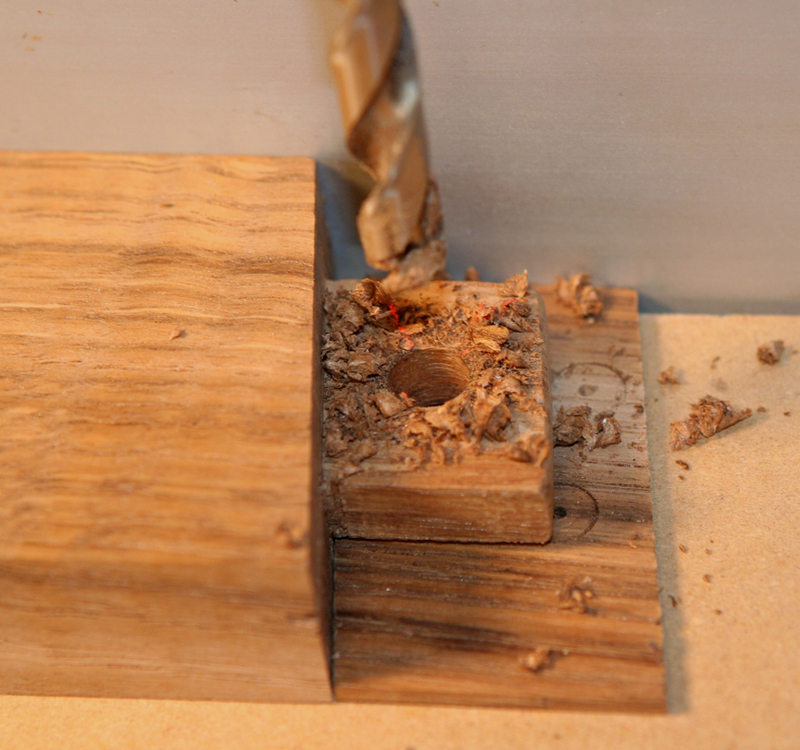 Next up: draw bore holes for stretcher tenons.